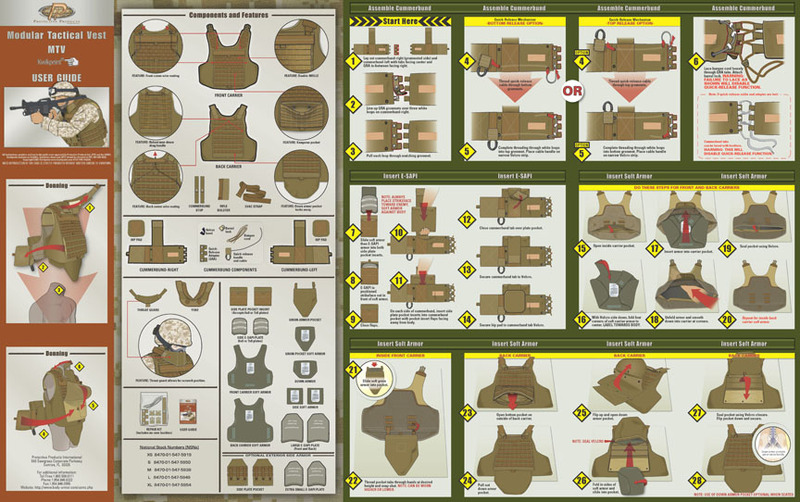 Modular Tactical Vest User Guide contains instructions for over 40 separate components and requires 56 steps to properly configure, don and doff. 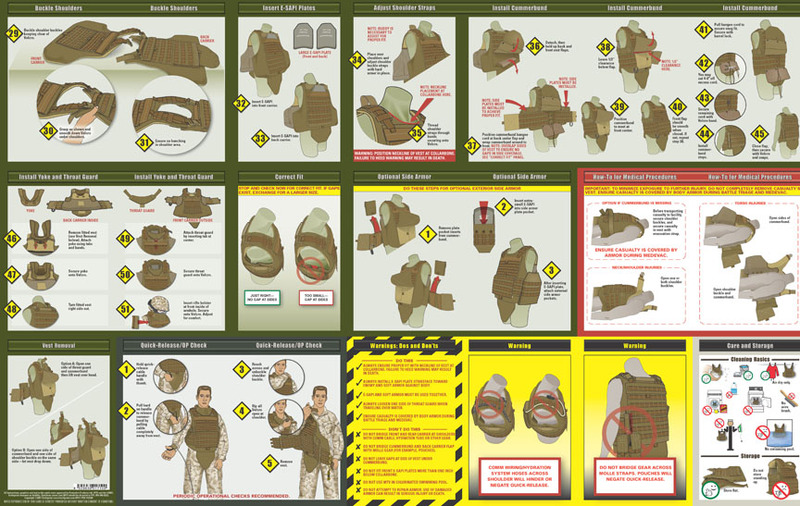 The also contains critical instructions on the how-to for medical procedures. It has checklists of warnings, do’s and don’ts, maintenance, cleaning and storage.